Thyrotoxiosis is a condition occurring when thyroid gland emits too much amount of thyroid hormone. This results into elevated levels in bloodstream. 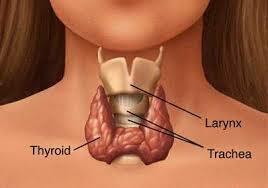 The disorder is related to hyperthyroidism, whereby hormones are overproduced by the thyroid gland. It may be caused also by certain conditions and diseases which stimulate thyroid gland to release the extra stored hormones. Two hormones involved are triiodothyronine and free thyroxine. Among the most common disease causing hyperthyroidism, leading to this condition, is Graves’ disease. The disease is an autoimmune disorder which causes the thyroid to produce extra amounts of hormone. It’s characterized by enlargement of thyroid, also known as goiter. Another issue which may frequently cause it is thyroiditis, or inflammation of the thyroid. This has several causes. They include autoimmune and infection diseases. Occasionally women can experience postpartum thyroiditis. This may lead to hyperthyroidism during first year of giving birth, although it’s normally one for a limited time. Several other issues may lead to thyrotoxicosis. Multinodular goiters and benign tumors or thyroid adenomas may become toxic, leading to extra hormones to be produced. Radiation treatments and drugs may also be contributing factors. When you experience these symptoms, it’s advised you visit your doctor. Medications known as beta blockers which are used in treating high blood pressure as well as other conditions may mask many of the symptoms and signs of this condition. The initial step to diagnosing this disease is a physical examination. When the symptoms and physical state of the patient show thyrotoxicosis, the physician is going to likely order blood test. High levels of triiodothyronine or thyroxine and low thyroid-stimulating hormone levels confirm the diagnosis. There are different available treatment options. Medications which inhibit the production of the thyroid’s hormone, known as thyrostatics may be used. Also, beta blockers can be used, although they only manage to treat the symptoms, and not the cause, of thyrotoxicosis. Sometimes surgery is advised to remove all or some of the thyroid.Radioactive iodine may be used also to kill overproducing cells in the thyroid. When left untreated, thyrotoxicosis may lead to thyrotoxic crisis or thyroid storm. This is an extremely dangerous condition occurring when the levels of hormone in your blood reach exceedingly high levels. Patients may experience accelerated heartbeat, high fever and high blood pressure. Thyroid storm should be immediately treated since it may lead to death.